Kate Miller is a local human resource professional who is recognized for her high principals, calm demeanour, loyalty and confidentiality. With over 8 year’s experience in the fields of law, manufacturing and post-secondary, Kate's scope of practice lends itself to a variety of industries and businesses. She understands the complex human resource needs of small to medium businesses and is happy to provide ethical, confidential and non-judgemental expert advice and support. 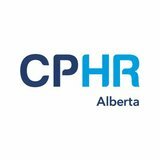 Kate holds the Chartered Professional in Human Resources (CPHR) designation and is member of CPHR Alberta. She is a proud alumnus of the University of Lethbridge majoring in Human Resources and Labour Relations with a minor in Corporate Social Responsibility and Co-op Designation. Kate and her family reside in Lethbridge with her husband, Keith, and 2 children. When not providing top-notch support, Kate enjoys having dance parties with her kids, eating dinners others have cooked, and spending time with her friends sipping wine.